8.5″ x 11″, craft acrylic on paper. This started as a loose sketch painting trial using acrylic paints, for a large scale painting I was going to begin working on. As I was unfamiliar with acrylics at the time, I used craft acrylics, which came in bright pour-out tubes of color. They are an easily-available grade of acrylic paint, something you would use to decorate a craft, not necessarily for creating a painting, but as I am beginning to discover anything can be used artistically; that is what makes art so wonderful, its versatility and flexibility, with room for interpretation. Portrait drawing alongside the reference photo I used. 8.5″ x 11″ graphite on paper. This took a little over an hour to draw. 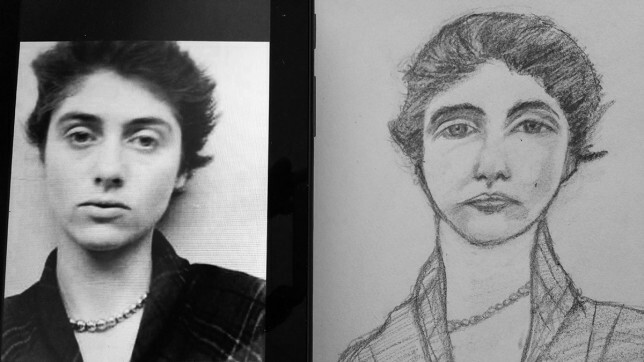 In an attempt to get some portrait drawing practice warmed up again, I started sketching from a reference photo of photographer Diane Arbus (reference photo is here). I had some difficulty getting accustomed to the idea of measuring. Mostly working through it loosely, gesture drawing, I was able to come up with some approximate features. As you can see from the last picture comparing the reference against the final drawing, there are some slight misplacements: the eyelids are a bit too long, the eyebrows are not quite placed, and the lips are a bit overly-heavy in gradient, specifically the lower lip. The necklace needs a bit more a bend, and her hairline needs a slight adjustment to the left. Had I been evaluating these things carefully while I was drawing, instead of being completely absorbed, and measured accurately before drawing (and especially shading) the likeness would have been better. This is a thing I’m having to really work on: making decisions while drawing. It’s all-too-easy to get caught up and miss the details. In terms of developing my eye without measuring, this is a good exercise, but if I were to really do an honest, thorough work, I would definitely measure, measure, measure, and re-measure. It’s a discipline I have to work on, but I know if I put some time and attention into it, the rewards will be more than worthwhile. 8.5″ x 11″, graphite, acrylic, and ink on paper. This is one of my first mixed media attempts. 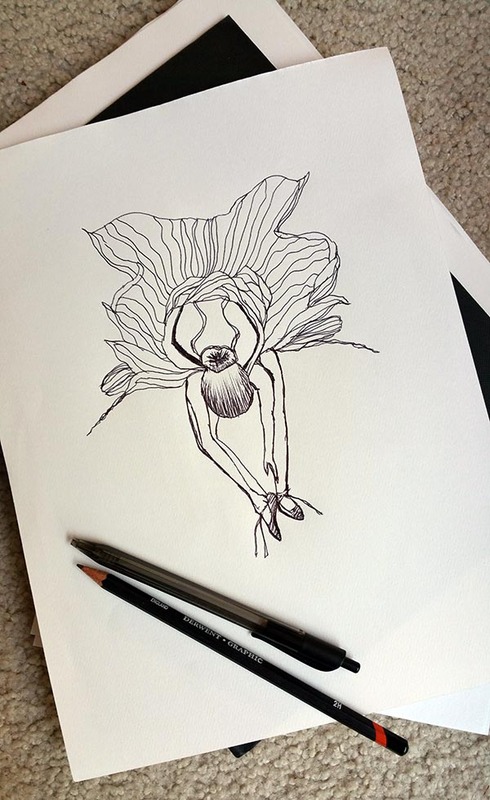 Even though she’s very unfinished, I like the incomplete nature. 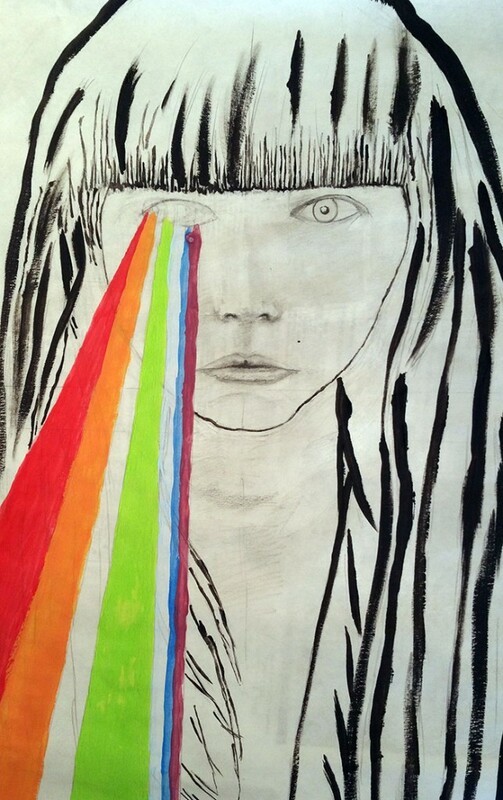 I started this with the idea of working on a portrait in graphite, but I randomly got the idea to make a rainbow come out of her right eye. 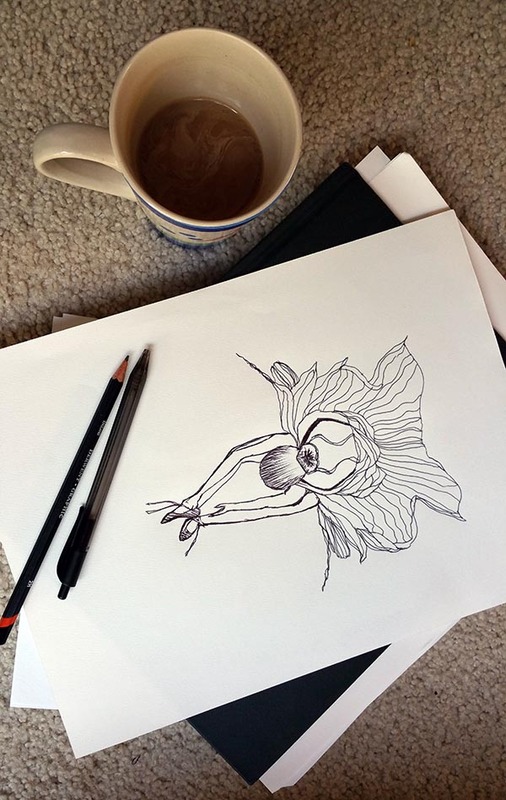 I had some newly-purchased and unfamiliar to me fixative I wanted to play with. 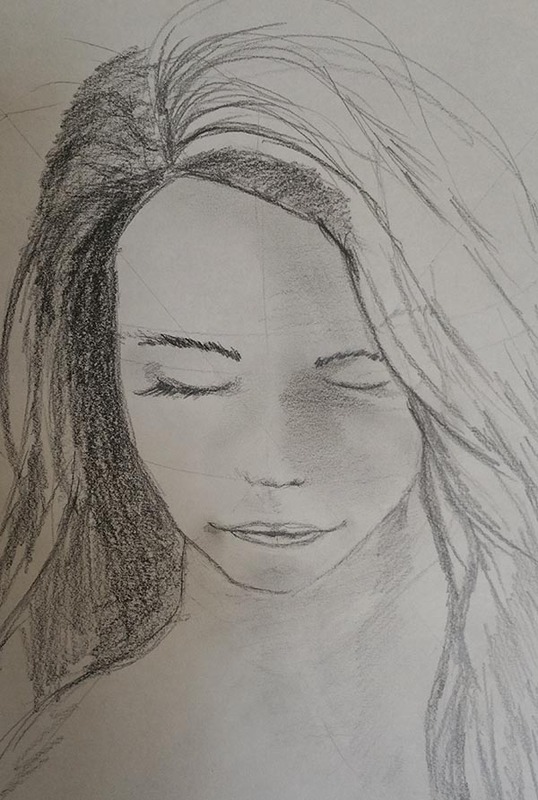 I sketched her face with graphite, and then used fixative to secure the image and prevent smearing. Happily, the acrylic paint was merciful and was willing to go over the fixative areas fairly well. As an experimentation in incorporating all forms of art I’m working on, in one small test project, I was very pleased with the outcome. 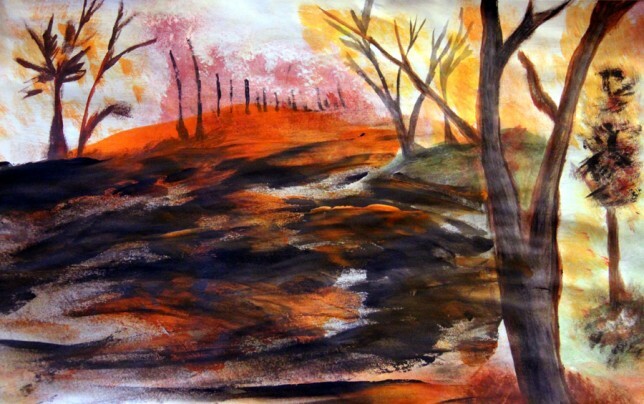 I would like to try this again, possibly using a canvas, and incorporating watercolors. Our eyes are our eyes, extensions do not lengthen us. surrounding foliage, average rainfall, temperature, even in Celsius. 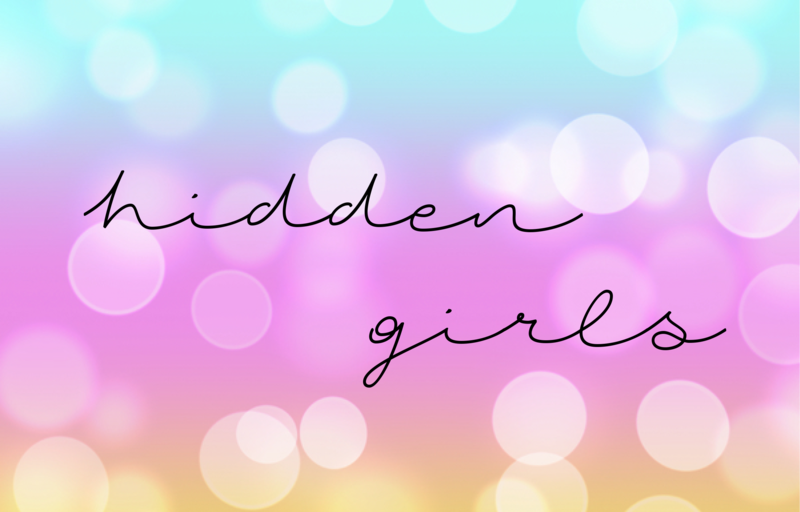 We hide without hiding, unseen and unseemly. We foresee all calamity arising in the afternoon. gin tears and pillows, week-old bruises from God-knows-what. in whole wails alongside walls, chilled but comforting. We don’t pretend to understand Ophelia, but we like the way she lies. We fantasize about living under a tree, playing as shade, covering, yet true. After a lifetime of being bombarded with female ideals of beauty, certain skin tones, diets, exercise routines, and a culture that encourages hair dyeing and make up, I realized that wasn’t who I was and how I wanted to spend my energy. I didn’t want to spend my emotional resources wanting to be someone else. Seeing so many homogeneously-faceless people, with mannerisms all the same, and their collective lack of originality in how they looked and the way they expressed themselves, I realized that I’m likely not alone. There are other women who are just being women, hidden behind and away from the culture, and that thought makes me immeasurably happy. 8.5″ x 11″, graphite on paper. 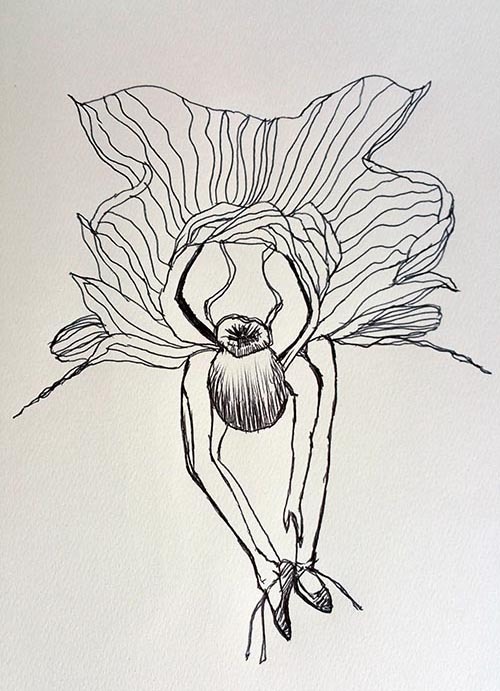 This is a quick sketch done in the style of Matisse; simple shapes and quick strokes of line. 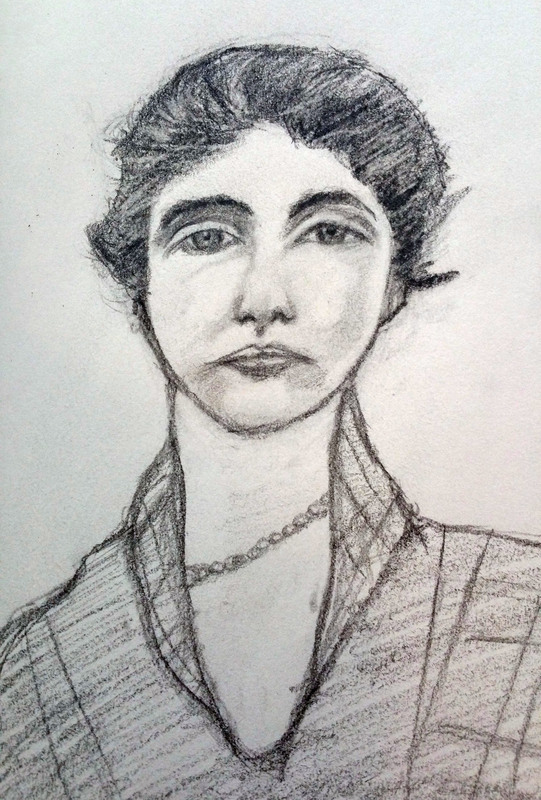 I think of it as Matisse’s Woman with a Hat but in sketch form. 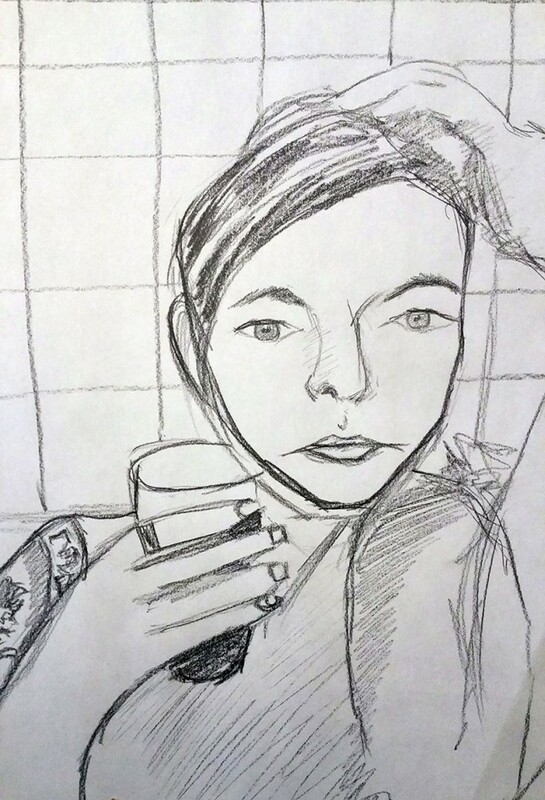 This image was based from a picture of a friend drinking wine while taking a bath. I would really like to refine and develop this as a painting, possibly with some bright, modernist colors. 9.5 x 6″ ink on paper. 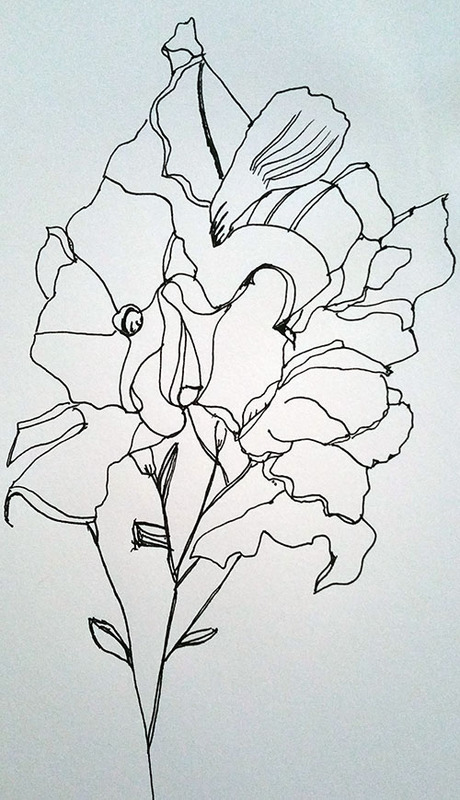 A simple line drawing based on some flowers I picked. I had in mind to work on perceiving negative space. By drawing the outline of the petals and focusing on the overall shape of the bouquet, I was able to get a pretty good line representation. Measuring and a before-sketch would have gotten me more accuracy, but in terms of loose lines and working an exercise, I am pleased with the outcome. 8.5 x 11″, graphite on paper. A simple portrait sketch that took me about half an hour to make. I used a black-and-white reference photo. My goal wasn’t to focus on shading so much, as it was to practice placing the features of the face. In this picture, you can even see my guidelines, particularly the eyebrows, eyes, and nose. I shaded a tiny bit on the right hand side of the image, which was representative of the hard light / shadow in the reference photo. 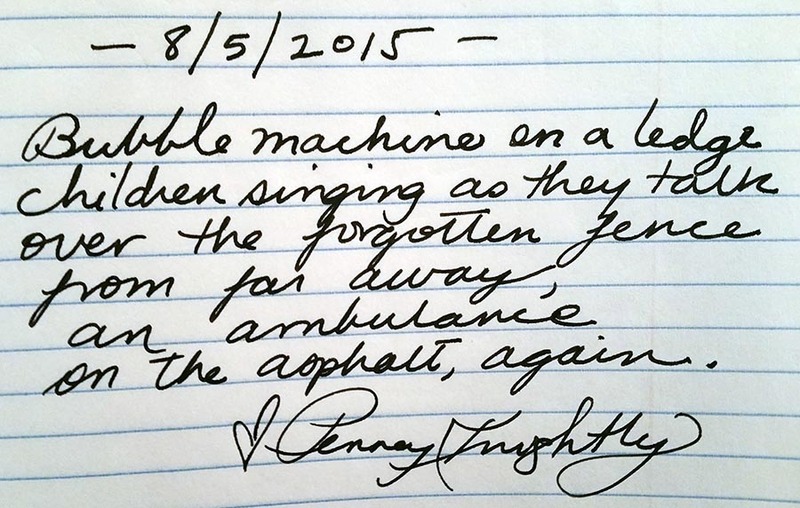 I thought this poem would be fun to write by hand. After seeing Tyler Knott Gregson’s poems on instagram, it seemed worth trying. This poem is based on a real-life happening. 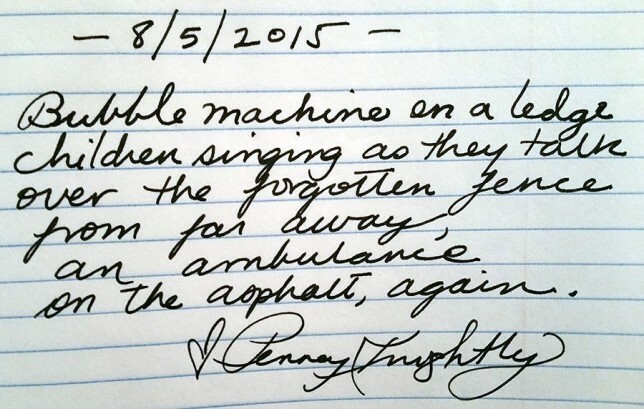 I just stepped outside of my house and the juxtaposition between children laughing, a visible bubble machine on a patio ledge, and the dizzying noise of an ambulance was such a sharp contrast that I rushed into the house to write it down. And sometimes that’s how creativity works, it just hits you like a ton of bricks, and if you’re lucky enough, you capture a moment, if only a little bit. We’re packing up and moving down to the more artsy South Bay Area, so I stole some time between packing boxes, scooted onto the floor near a nice natural light area and drew this.